It's SXSW, and Bose is kicking off the Austin festival with a bang, announcing a pair of prototype AR smartglasses. Surprising? Absolutely - but Bose is drawing on its strengths by focusing on audio, not visuals. Unlike many other smartglasses out there, such as the Vuzix Blade, Bose's glasses augment the world by adding "an audible layer of information and experiences" to what you see, rather than displaying anything on the lenses. 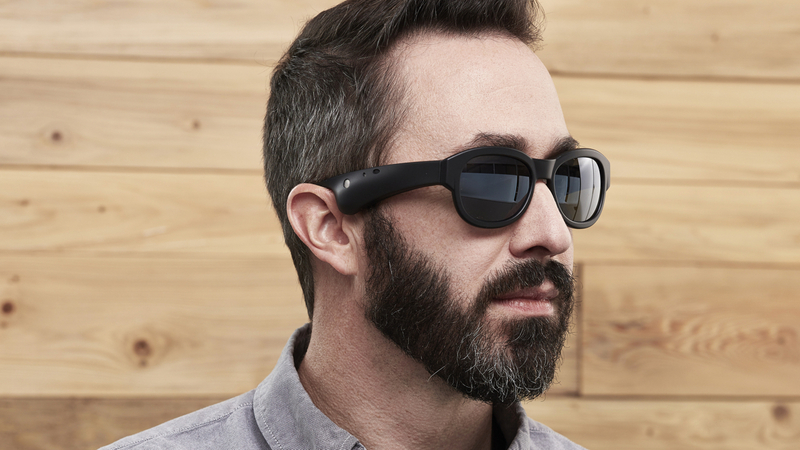 The glasses will analyze whatever you're looking at and use audio to augment it. For example, say you're looking at a historical monument - Bose says you might hear a famous speech, or sounds simulating the relevant historical event. Or maybe you're looking at a restaurant - the glasses might tell you whether it's been reviewed well. If you look up to the sky, Bose says the glasses could even give you a weather forecast. It's not the first to come up with the idea of putting audio in glasses - we're still waiting on Vue's - but it is the first to merge AI and AR in this way. On top of that you'll get support for Siri and Google Assistant, and a built-in mic for taking calls. But Bose's ambitions reach much farther beyond these glasses: the company is building an entire platform called Bose AR, and is working with developers, manufacturers, and research institutions to bring it to a range of wearables. Bose says the tech can be "seamlessly built into headphones, eyewear, helmets and more, with no compromise to their existing functionality." In fact, there's no guarantee the glasses will actually make it to consumers, but presumably others will. These wearables could also take the GPS data from a paired smartphone from additional functionality, like directing you to a gate when you arrive at the airport. Another suggested features would allow you to control your music playlists with head gestures like head nods. Bose says it's investing up to $50 million in startups that'll leverage the AR platform. While it all sounds very ambitious, it's much more realistic than full AR overlay specs, something that is going to take a lot longer to become reality - despite many companies working on the tech right now. Bose's glasses look great, but it's the broader scope of the AR platform that's the real news here. We've scheduled in some time to check these out these specs, so look out for our first impressions on the site soon.